Doerner lawyers are well-equipped to handle the full spectrum of issues involving water rights and services: transactions,disputes and administrative/regulatory compliance. We understand that transactions regarding water services and water rights can be complex and entail numerous pitfalls. Our lawyers are well-equipped to represent clients in all types of water transactions, including transfer and acquisition of water and water rights and the transactions involved in treating and transporting water. Such work also includes full advice on planning and development issues. We also provide careful legal advice to structure water service contracts that recognize the various regulatory schemes and business risks involved. For example, we ensure that long-term water service contracts do not expose the buyer or seller, or both, to significant pricing and volume risks. With a long history of representing public trusts and authorities, we are uniquely suited to provide legal counsel in the area of water infrastructure development transactions. We help clients design, develop and prepare vendor contracts for these projects, and advise on structuring and negotiating related debt and financing instruments. We handle a broad array of litigation regarding water rights and services, with a background in complex commercial and environmental litigation that enables us to handle some of the most complex water cases in the state. Our lawyers fully understand the importance of water as a scarce natural resource, and focus on helping clients maximize their rights to that resource regardless of the complexity of any issues in dispute. No water-related disputes pose more risk for the unwary than the monopoly protection held by some water service providers as a result of federal loans from the U.S. Department of Agriculture and the Oklahoma Water Resources Board. Our lawyers fully understand this area of the law, serving as counsel of record in several published decisions on the issues raised by 7 U.S.C. § 1926(b). Included among these decisions is the leading Tenth Circuit decision on the essential facilities doctrine as applied to wholesale water providers. Using such insight, our lawyers advise many clients around the state and region – including municipalities, developers, land owners, and rural water districts – on water service territory issues and the risks and litigation involved. In addition to serving as legal counsel on these issues, we have been active in seeking policy solutions to the problems posed by monopoly protection. That includes working with policy groups and public and private to assemble proposals designed to alleviate risks and ensure appropriate levels of competition and efficiency in the water service markets. We have extensive experience in guiding clients on best strategies to comply with and defend against actions involving federal, state and local water quality and access regulations. Our lawyers are experienced in the broadly-based proceedings of the Oklahoma Department of Environmental Quality and the Oklahoma Water Resources Board, and also regularly handle unique issues of water sales and service privatization before the Oklahoma Corporation Commission. Oklahoma operates under a system of water law involving competition between private property ownership rights and public appropriation and ownership of the State's water resources. As a result, the acquisition of water rights almost always involves appropriation proceedings before the Oklahoma Water Resources Board. Our lawyers are well positioned to guide clients through the appropriation process. In addition, our involvement in the Oklahoma Comprehensive Water Plan process means we are able to advise clients regarding risks associated with potential changes in the area of water law. The environmental lawyers at Doerner have the capabilities to assist clients in all aspects of water permitting and compliance, including representation in any stage of an agency proceeding or litigation – from initial negotiations with the agency to appeals in state or federal court. 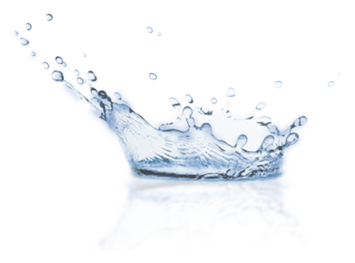 We can evaluate a water facility’s compliance status or prepare permit applications, modifications, and renewals. Our services also include environmental, health, and safety audits to ensure that clients remain in compliance as facility conditions and environmental laws change. We can also address emerging issues, such as wind energy, climate change and nanotechnology. Our clients range from private companies to municipalities and public trusts, and the experience of our lawyers is as diverse as client needs require. The Doerner team’s background includes environmental, health and safety work in the oil and gas industry, management of energy, land, environmental, and Native American affairs for the world's largest gas pipeline project, advanced education in environmental science and experience in environmental consulting. We thus are able to assist clients with any water permitting or compliance issue. When it comes to water, one of Oklahoma’s most critical natural resource, Doerner lawyers speak the language of developers, water utilities, users and regulators. Because of our vast water management experience, we know the most practical water rights solutions, and negotiate use and management strategies that have the greatest potential for success.